Arjan - PlasticDaisy (Homepage) wrote: Now that is one of the best macros I've seen in a while! It's almost scary how much detail there is here. Makes everything look lifesize! Wolfgang (Homepage) wrote: Great macro and details! fabrizio (Homepage) wrote: incredibile definizione in questa macro, di non facile esecuzione, ma con un risultato straordinario!!! 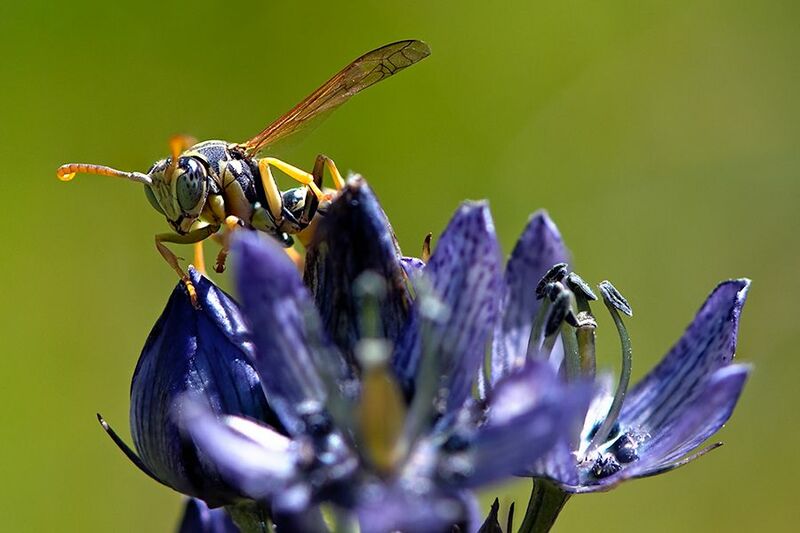 Arnd (Homepage) wrote: The upward angle is awesome in this close-up of the wasp! CrashRyan (Homepage) wrote: a nice job!!!! cool pic! buntagphoto (Homepage) wrote: Gorgeous colors. Beautiful but deadly.